I'm glad this is a book I don't actually need right now. What To Do When I'm Gone: A Mother's Wisdom to Her Daughter is exactly what it says it is. When Hallie had one of those moments during her early twenties when she suddenly realised that one day her mum would die, she felt devastated by this future loss. She discussed it with her mum, who promptly sat down to put together a list of things to do and not do in the event of her death. 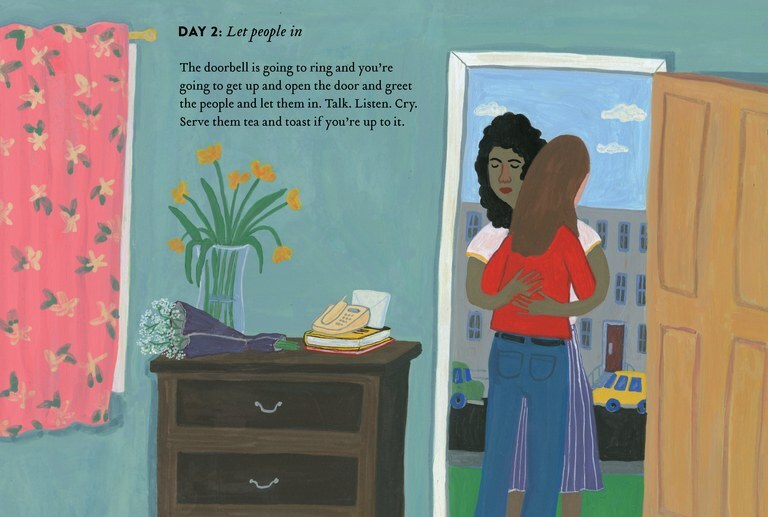 Told in diary form with graphic style illustrations, Suzy proceeds to give advice on how to handle the days after she is gone. The first 8 days contain all the stuff Suzy feels a young woman would need to get through that phone call, that first day, the funeral. We then jump days to include things like that first birthday, the first dream as well as all those times when a young woman turns to her mum for support (the break up of a relationship, having kids of her own, changing jobs, growing older, bad days etc). It's deeply personal, heart-breaking and so, so poignant. But it is also life-affirming, positive and feels very authentic. 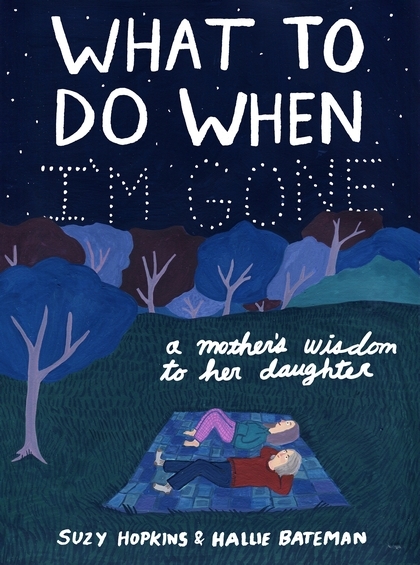 This book is designed to help younger women cope with loss and grief, but with an end date 20 000 days later, the advice and support within these pages could help anyone who has experienced death and loss. In a nutshell, it's resilience, memories and courage that will keep you going, keep you strong and keep you safe. Nothing unusual in any of that, but having it all together in a lovely book package can help it to feel like the great, big, warm fuzzy it sets out to be. Even if you haven't lost someone close, reading books like this can prepare you a little for that time. In the middle of your grief, pages from this book may pop back into your mind to help you get through the next bit. Book FIVE though? Wow! Sounds like a great idea and a really useful book, too. But BOOK FIVE! I know! I'm like a reading machine atm!! However reading time has taken priority over blogging time...book 6 is still waiting to be reviewed & I have a backlog of half written posts to finish. The early, cold nights & crap TV have been great for going to bed early to read.